Fly fishing isn’t just a hobby, it’s a way of life. There’s nothing quite like a weekend spent on the water, tying and selecting the right fly, and reeling them in. There’s just so much to learn about fly fishing that it can get overwhelming at times – so that’s why we should all learn of the best. There are tons of fly fishing blogs out there, but we’ve whittled the list down to the top 51 fly fishing websites/blogs and presented them here. These are the best of the best that we found – and we went through a lot of websites. Most of these blogs are fly fishing journals – and those are the best ways to learn about fly fishing – it’s pretty much looking over a more experienced angler’s shoulder. These websites are fun to read, the pictures they post are amazing, and you’ll be able to learn from the best and become a better fly fisherman. 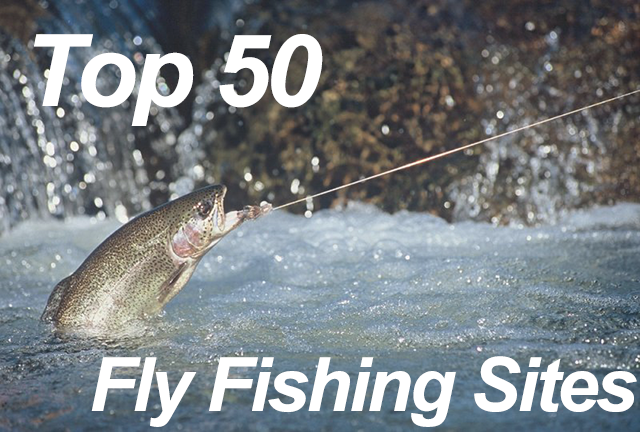 So without any further ado, here are the top 53 fly fishing blogs that will help turn you into a better fly angler! If you want to learn about aquatic insects and which ones to use when in fly fishing, you don’t have to look any further than TroutNut. TroutNut has a comprehensive encyclopedia of aquatic insects, complete with images and detailed biological information. There’s also a great library of fly fishing articles. If you want to be “the dictionary” of fly fishing, TroutNut is the place to start. Anni is a talented fly fisher with over 20 years of experience in fishing and 7 years of writing about fishing. She shares her passion with the world has written books and developed courses to help people get better at fly fishing. Anni loves getting other people into fly fishing and you’ll find inspirational and educational posts on her blog. Run by a 4 person team of avid fly fishermen, Gink and Gasoline features reviews of the latest fly fishing gear and neat tips and tricks to make you a better fly fisherman. Make sure to catch(heh, heh) one of their many giveaways where they feature and giveaway great fly fishing gear. After all, you can never have enough, right? TroutBus is run by Gabe Parr, who set out on a mission – in a bus – across the country to spread the word about conservation. Gabe travels the country, meets people, goes for a day fishing or hiking, spreads awareness, then hops back in the bus and is off to the next town! TroutBus is a fascinating journey and must-follow if you are into conservation, which is a huge part of fly fishing. April Vokey is a Federation of Fly Fishers (FFF) certified casting instructor and dedicated conservationist. She runs a fly fishing guide business in British Columbia, which originally started as a means to get more women involved in fly fishing. Soon, the guys wanted in, too! Check out FlyGal for her unique tips – especially on how to tie different types of flies! The Fiberglass Manifesto is written by Cameron Mortenson, a fiberglass rod enthusiast. Originally started to increase awareness for fiberglass rods and manufacturers, the blog has since grown to talk about reel makers, gear makers, fly tiers, photographers, and generally people related to the industry. You’ll also find fly fishing journals complete with plenty of photos. Troutrageous is maintained by Michael Agneta, an avid fly fisherman. Troutrageous really personifies the fly angler’s life – you’ll read about everything from fishing news, gear reviews, fishing trips, and the latest happenings in the family. Mike’s posts are fun to read and a great way to spend an afternoon you weren’t able to go fishing dreaming about fishing instead. Nomad Anglers is your all-in-one stop for everything fly fishing. Their store stocks everything you need to get into fly fishing and to keep your tackle box nice and stocked, and their blog showcases their frequent fishing trips. The great thing about reading other people’s fishing adventures is that you’ll pick up many things that you won’t find in a tutorial or a book! The Oregon Fly Fishing Blog is an all-round blog for fly fishing. You’ll find pretty much everything you would want to learn about fly fishing on their website. They feature industry announcements, news, the latest gear reviews, and lots of information and tips. The best part of their blog however is their fly tying video library which contains great tutorials on how to tie flies. Simpson Fly Fishing is an education resource devoted to everything trout fishing. Run by a father-son duo with over 70 collective years of fly fishing experience. Their site is actually a companion to their book, Ramblings of an Aging Angler(which you should definitely check out), but even if you just browse through their site, there is plenty to learn! Mid Current is a huge community of fly fishing enthusiasts that contribute their tips, tricks, and experiences on the Mid Current website. You’ll find information, videos, photo galleries, books, and even guided fly fishing trips near you. Their techniques library is also quite extensive and fly fishermen from all walks will find something of value browsing through Mid Current. Trouts Fly Fishing is an online fly fishing superstore and they have a very informative and fun blog. You’ll find fly fishing tips, industry news, fishing reports, and videos and photos. Since they are an online store, they also have some great and objective blog posts about the latest fishing gear. Your one stop shop for everything fly fishing British Columbia’s trophy trout still water Interior lakes and streams. Entomology (the aquatic insects that trout eat), fly tying & fly patterns (to best imitate the aquatic insects that trout eat), fly fishing information & fishing reports (the where and how to fish the aquatic insects that trout eat), knots, solunar tables, web cams, & so much more! Women’s Fly Fishing is an Alaska-based fly fishing guide whose mission is to promote the great outdoors and fly fishing amongst women. They have guides, fishing reports, and general fly fishing information, too – all aimed at women. So if you have a special lady in your life who you’d like to get into fly fishing, send them this way! Paul Vertrees writes about Tenkara fly fishing on his blog, Tenkara tracks. Tenkara is a Japanese method of fly fishing where your setup is incredibly simple – you just use a very long rod, a line, and a fly to catch fish. The unique size of the rod makes it easy to access mountain waters that you just can’t reach with Western rods. If you want to learn more about Tenkara fishing, check Paul’s blog out! Streamers365 has hundreds of different steamers and how you can tie them. What started as a one year project back in 2012 has continued and they still post regularly. If you have a streamer that you’d like to share with the world, you can send it over to them and they will post it for you. Visit Streamers365 often and you’ll never run out of ideas! Moldy Chum is a tongue-in-cheek blog about fly fishing and conservation. Here, along with helpful advice on how to fly fish, you’ll find a section for giveaways, a weekly contest where you can submit your biggest catch(with a photo, of course! ), and a pin-up section of beautiful women fishing – what more could you want? Nick Hart is a UK-based fly fishing instructor who has been sharing his passion of fly fishing for the past 10 years – his fly fishing company has become one of the most popular ones in the UK! On his blog, you’ll find tackle reviews, fishing reports, tactics and techniques, and you can read about some of the awesome fly fishing destinations that Nick has visited and fished. Tenkara Grasshopper is one of the most detailed websites out there about Tenkara fishing, the traditional Japanese style of fly fishing. You’ll find whatever you need to know and learn about Tenkara fly fishing on the website: equipment, technique, suppliers, and more. Terry Bromwell maintains TaffDiaries, where he chronicles his frequent weekend fishing trips on the River Taff and other rivers in South Wales, Great Britain. Terry’s posts are packed with insight and lots of pictures, so following him can get you lots of tips and neat tricks that you can then use in your own fishing. UrbanTrout is very unique amongst fly fishing blogs – while most blogs focus on fishing trips and gear, UrbanTrout’s goal is to promote awareness for cleaning up and maintaining streams and rivers that run through busy cities – in fact, now that many streams and rivers in cities are much cleaner, trout and other freshwater fish are slowly returning to them. UrbanTrout highlights fishing in urban areas and promotes conservation. Ben writes about hunting, fishing, and roaming around the great Southwest. For fly anglers, the place to check out on Arizona Wanderings is the Gear Reviews section and Ben’s “My Fly Box” section. If you want to experiment with professionally tied flies, you can also see the AZ Wanderings store and pick up some of Ben’s hand-tied flies. Like the blog’s name suggests, Richard, the angler behind it is a very focused fisherman! Richard mainly posts on his blog as a means to record his fishing trips and photographs, with some personal experience and tips along with each post. If you are looking to catch brown trout in small streams, then Richard’s blog is a great place to start or exchange ideas! Drowning Worms covers everything you would expect a fly fishing blog to cover – tackle reviews, fishing reports, and tricks, but where it really shines and sets itself apart is that anyone can become an author. They are open to contributions, so even you can start writing and establishing yourself as a fly fishing authority! Whether you choose to be a gear guru or a fishing guide or whatever you fancy is up to you. Hip Wader is an awesome fly fishing blog with a cheeky touch. They’ve got a nice forum, and have lots of great informational posts on fishing reports and all things fly fishing and fly tying. Rob Choi is the fly fishing addict behind Angling Addict. Rob was always an avid fisherman and one day, after buying his dad a kayak for Christmas, he realized the potential of kayaks for fishing! On his blog, you’ll find his fishing excursions. There is also a super-informative section on kayak rigging and gear reviews – so if you are a kayak fly fisherman, you’ll find yourself right at home on Angling Addict. Tony Mair has set out with an intriguing mission: catch a wild trout from every river in the country. On his blog, A Fisherman’s Journey, you can follow him around the UK as he flies from river to stream to reservoir to pond to lake to try and net a catch from each and every one. The biggest challenge is identifying all the water bodies first, and you can follow him as he uncovers new spots, too. The Unfamous Fly follows the fly fishing excursions around Scotland of Kenneth Halley. The Unfamous Fly is one of Scotland’s most well-read fly fishing blogs, and for good reason. Kenneth writes frank and honest fishing reports, and along with them, gives his thoughts on tackle and the places he goes to fish. Ken is the man behind Waterdog Journal. He originally started the blog as a way to document his fly fishing outings, and you’ll see in his posts that the “how” of fishing is peppered in between what he actually focuses on, the “why” of fishing. “Why” is a huge question when it comes to fishing and if you are looking for inspiration or looking for ways to put your “why” thoughts into words, you may find that Ken has taken the words right out of your mind! Paul Macandrew, a New Zealand-based professional fly fishing guide maintains a very informative blog on his website. Most of his posts are diary entries of his experiences with clients on fishing trips. Aspiring Fly Fishing is a great read because each of Paul’s clients is different and has unique needs, so it’s great to see how Paul addresses those needs to make sure his clients really enjoy themselves. Duranglers is a fly fishing outfitter and maintain a concise but information-packed blog. Most of the content you will find will be fishing reports and gear reviews, announcements, and giveaways. If you want to find out about the latest fly rods or tackle, the Duranglers blog is your place to go. A New Zealand-based fly fishing guide, Chris Dore’s blog is completely packed with actionable tips and tricks for fly fishermen. The thing about fly fishing is that there are just so many different situations you can be in, and so many different flies you can use – and Chris does a great job covering a wide variety of topics, making his blog a must-read for your fix of fly fishing education. Dave Weller maintains an online diary of all of his fly fishing adventures. His blog is loaded with photo albums, so if you eat, sleep, and breathe fishing, it will be like paradise. He also has a fish counter which displays how many fish he caught per year and where he caught them. In 2015, he caught nearly 1000 fish! PileCast is a pictorial fly fishing blog – on it, you’ll find Dave’s fishing excursions and outdoor gallivants with his beloved dogs. Dave is a talented photographer, and you’ll really enjoying going through his blog posts and photographs. Pat Dorsey is a fly shop owner and guide who shares his years of experience and fly-fishing know-how with the world from his blog. He is the author of several books on fly fishing, and if you are ever in Colorado, be sure to pay him a visit! 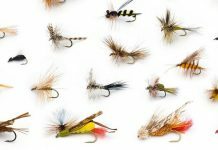 The articles section of his website is also a wealth of fly fishing information and techniques, from fly fishing etiquette to fly selection and tying. PA Fly fish is a great site to go through if you are just getting into fly fishing. They have a very comprehensive and beginner-oriented “Getting Started” section and a very active forum where you can start going through some threads and learn some really awesome tips, tricks, and techniques. J Stockard Fly Fishing is a fly fishing superstore with over 10,000 fly fishing products in their catalog – there is literally something for every kind of fly fisherman out there. Of course, they have a blog, being professional fly fishermen, and they share great information on fly tying, building fly rods, and fly fishing in general. Maintained by Lou Zambello, a professional fly fishing guide in the Maine mountains, Mainely fly fishing is an excellent resource for all fly fishermen. Lou also offers instruction and classes, so if you are ever in the Maine area or planning to go there, be sure to pay him a visit! The blog mostly focuses on fishing reports, which are always fun to read. Emily Blankenship is the River Damsel. She provides her unique flare to fly fishing and writes about her excursions on her blog. You’ll also find lots of photographs – of the river, of the fishing, and of course, of the catches! Through her posts, you’ll pick up her tips and tricks learned from her many fly fishing trips. David Knapp, a fly fishing guide from Tennessee is the angler behind the Trout Zone. David is a passionate fly fisherman who mainly catches(you guessed it) trout, but occasionally catches bass and other warm water fish, too. The Trout Zone is David’s fishing diary where he shares his love of fishing with the rest of the world. The Swift Fly Fishing blog is by Epic, a New Zealand based fly fishing outfitter specializing in rods. On their blog, you’ll find a well-rounded selection of posts that all fly fishermen will benefit from. They have a few really neat guides on building fly rods, and do really in-depth gear reviews, too. Fisherous is the fly fishing blog of aficionado and outdoorsman Cory Perry. On Fisherous, you’ll find a wealth of information – Cory conveniently categorizes his blog posts as “Technique,” “Journal,” “Fly Cinema,” and more, so there is something for everyone. He’s also got a section on fly tying basics, which is a valuable stop for the beginning fly fisherman. The Uncommon Angler is a photography/fly fishing blog by Austin Green. As you can imagine, fly fishing and photography are a rather uncommon combination, and that’s where the name comes from! If you are ever in the Maryland area, hit Austin up for a guided fishing trip. You’ll get some great photos in the process, too! If you are looking for light-hearted musings about fly fishing and good fun, Chi Wulff is the place to go. Started all the way back in 2007, Chi Wulff is run by a team of fly fishermen who are passionate about the sport and like living life to the fullest. That’s why along with fishing reports and fly fishing info, you’ll find tasty recipes and imaginative drink mixes thrown in, too. Morgan is the angler behind Tight Lined Tales of a Fly Fisherman. Here, you’ll find gear reviews, DIY instructions for fishing equipment, and a really cool page, the fly fishing bucket list – a list of species Morgan wishes to catch! You can follow his journey on the blog, and he also has a frequently updated Instagram as well. Rich Strolis is a fly angler and guide from Connecticut. On his blog, Catching Shadows, you’ll find great fly fishing tips that you can put into action immediately. Rich is a true professional in fly fishing – he designs flies for the Montana Fly Company and has an extensive library of fly fishing videos, too. Mikes Gone Fishing is a representation of the fly fisherman’s life! Mike is retired and spends his time enjoying the great outdoors, wandering North Carolina’s waterways, and as he likes to put it, “annoying the fish!” If you ever wondered what the life of a passionate fly fisherman looks like, check out Mike’s blog – you will not be disappointed. Mark Kautz-Shoreman writes about his daily experiences and fishing trips on his blog, Northern California Trout. Every post is decked with plenty of pictures of wherever he goes, so if you’d like to make a fishing buddy, head on over to Northern California Trout and start reading and commenting! Windknots and Tangled Lines is a blog about fly fishing, having fun, and relaxing after a long, hard day. Follow Howard Levett wherever he goes fishing and see what fishing gear he recommends. Be sure to leave a comment on a post, it’s always fun to meet other fly fishermen! Quiet Racquette(I love the name!) is Steve Cobb’s blog where he talks about fly fishing and life on the Racquette River in Upstate New York. Lately, Steve’s posts have been about his (really awesome) paintings – scenes of nature and freshly caught fish. If you are an art person, you’ll have to check it out! Jason Tucker is the fly fisherman/photographer behind Fontinalis Rising. Fontinalis is the scientific name for Eastern Brook Trout, which is Jason’s catch of choice. Along with fly fishing reports, gear reviews, interviews, and the occasional rant, you’ll also be treated to Jason’s spectacular photography. Stephanie Mullins writes about fly fishing at her blog, Antlers and Gills. As you can guess from the title, Stephanie is passionate about fishing and hunting. On Antlers and Gills you’ll find fishing stories, information about flies, and Stephanie’s journeys in parenting. As you can tell from the title, New England on the Fly is about the New England fly fishing scene. If you are in New England or plan to travel there, make sure you check out what’s going on in the region by visiting New England On The Fly! Casting Around is a Tenkara fly fishing blog. It is packed with information, from fishing trips, gear reviews, fly tying, news, how-to’s, reading lists, and the occasional essay and rant. What fishing blog would be complete without a rant, after all! Casting Around has been online for a while, and so they do a really neat thing where they feature a classic post from the archives. It’s a great way to catch up on what you may have missed from before you started following them.